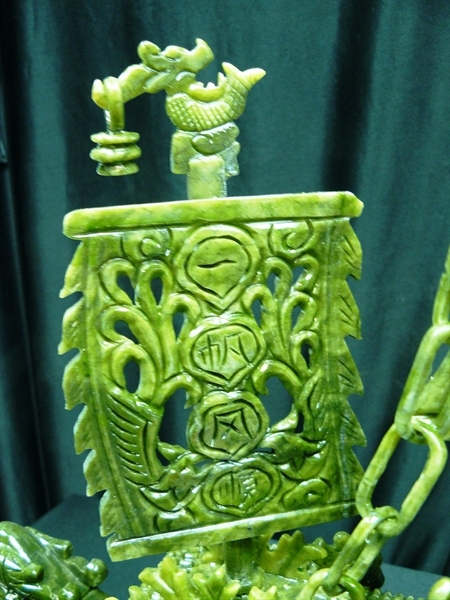 LENGTH: 24", HEIGHT: 24", WIDTH: 6". 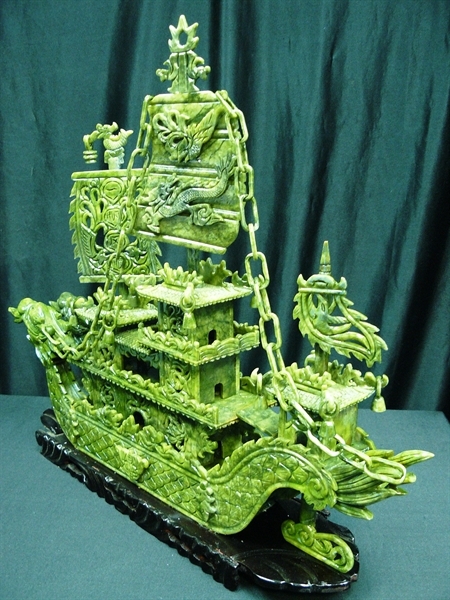 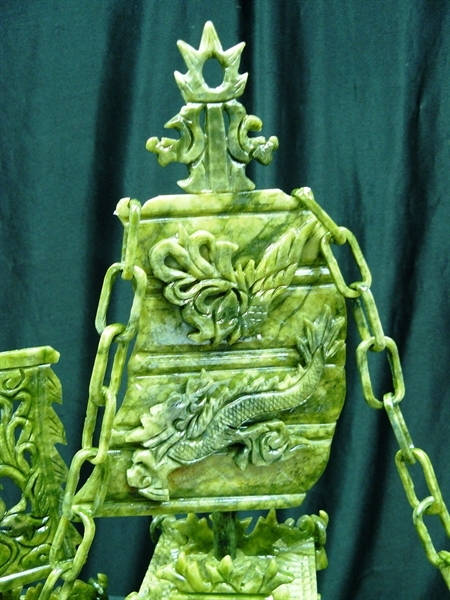 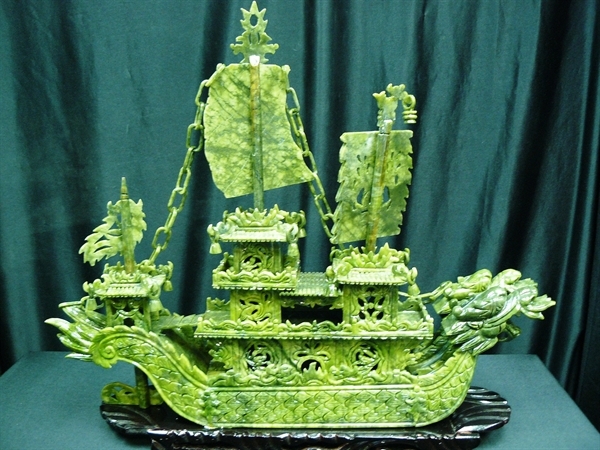 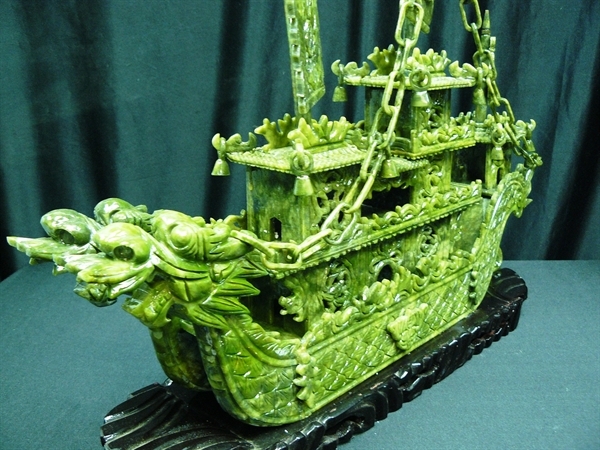 This jade boat is made from natural green jade. It consists of boat body, chains, sails, flag, anchor, rudder, and wooden base. 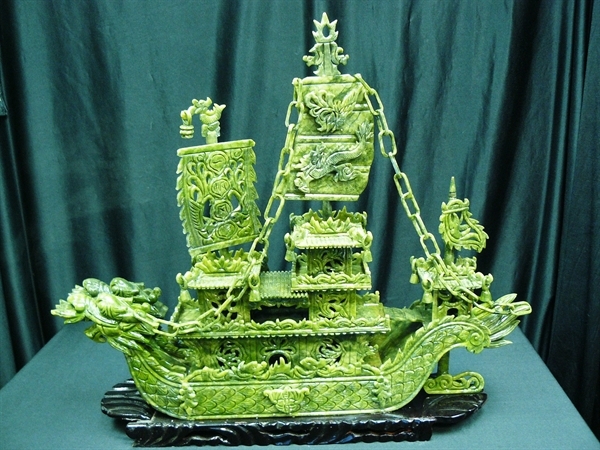 Very detailed carving.